There is no review or tasting note of Leyrat Aged 6 Years Cognac. Leyrat Aged 6 Years Cognac is a Fins Bois brandy, from the family of Abecassis. Anticipating that XO Cognacs must be at least 10 years old soon, we classify this cognac as a VSOP. It is well between VSOP and XO. 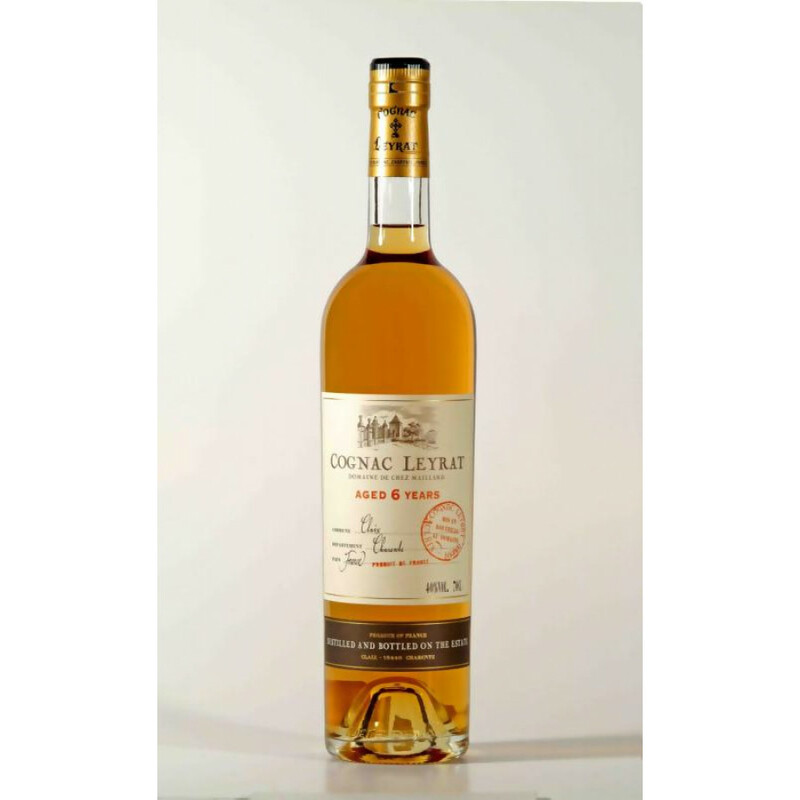 Cognac Leyrat is part of the 250 hectare estate owned by Francis and Elodie Abecassis. They also own the brands Cognac Le Reviseur and Cognac ABK6. As with the rest of the company’s range, Cognac Leyrat is produced from the fruits of a single estate. These eaux-de-vie are then aged and blended into a full range of cognacs, from a VS right through to their flagship product Leyrat Glory, which is a minimum of 40 years of age. Tasting notes: Pale colour, a nose dominated by fruits, wood. A lot of flower. On the palate it's a rather elegant VS.
Tasting review from Domain Francis Abecassis: Aromas of spices and sandalwood developing from long aging in oak barrels. Palate reveas notes of cigar box and a lingering honey finish. Tasting review by Tiffon Cognac: An elegant nose with floral character and a mellow rounded aftertaste with hints of spice and vanilla. Tiffon VSOP can be enjoyed also on ice or long drink in order to highlight the fruitiness of the cognac. The colour is amber, on the nose some mature wood and vanilla. Dried fruit like apricot and almonds. The taste itsel is round, some fruit and hints of wood again. Mellow aftertaste, structured and some round Petite Champagne notes, such as Fins Bois fruit aromas. The Influential Women of Cognac: Who are they?